One of the main reasons I wanted to switch to a more natural lifestyle was because I felt like there was so much added garbage to everything we eat and everything we use! I'm obviously not a scientist or a doctor, but I know that can't be healthy in the long run. I will do anything to keep my family happy, safe and healthy, and I believed focusing more on green living was the right option for us. Now, I wouldn't exactly say I'm a crunchy mom. Semi-crunchy is a more accurate description! There are still not-so-healthy foods that I love to eat and not-as-safe products that I still use, but overall the change has been a positive one, and I fully believe we're on the right track! Our most recent change was having my entire family switch to a healthier, more natural haircare regimen! 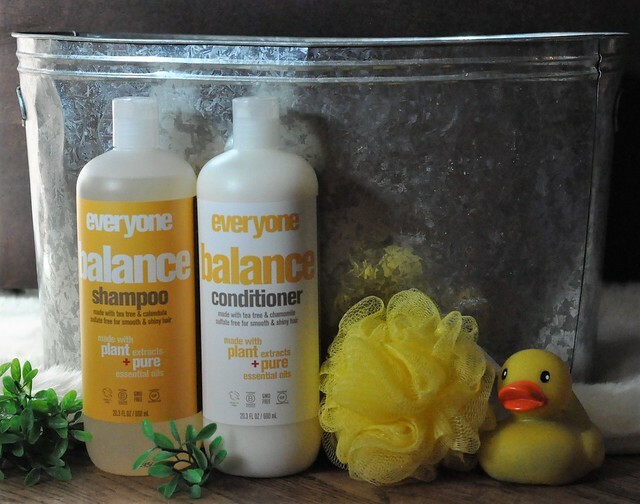 I was so fed up with purchasing separate shampoos and conditioners for each person in my family, and thankfully, I found a shampoo and conditioner brand that works great for everyone. Literally...Everyone! 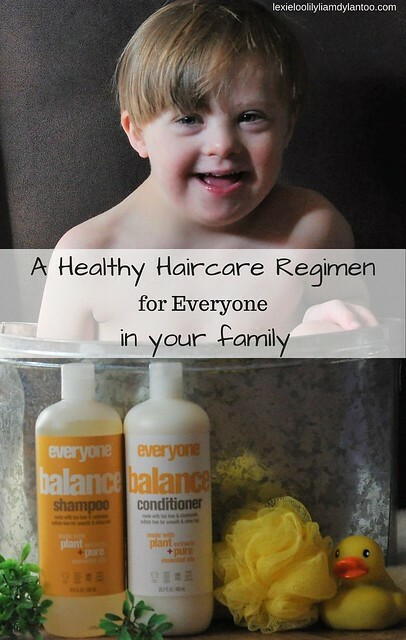 Why should you choose Everyone for your family's haircare needs? 1. It comes from a family-owned body care manufacturer (EO Products). Products are researched, developed, formulated and bottled in a Certified Organic, Cruelty Free, Zero Waste manufacturing facility in California. 2. It's affordable! 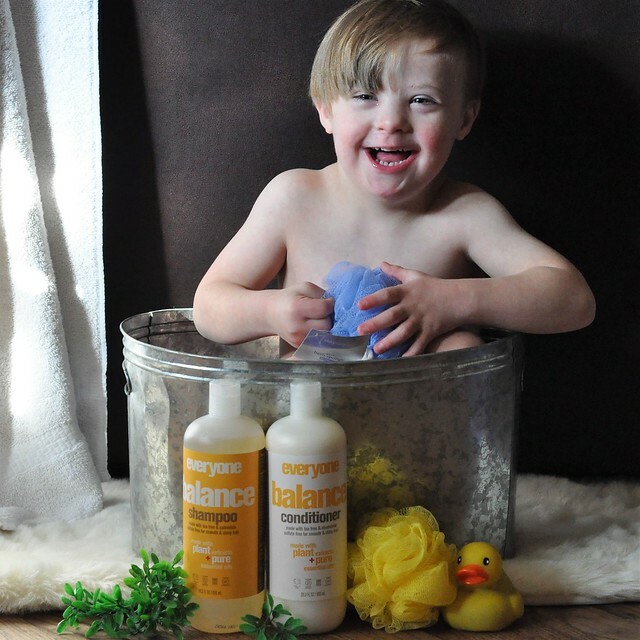 EO Products believes that families shouldn't have to choose between a product that's good for them and a product that they can afford. 4. It's available in two formulas: Balance and Volume. Balance if formulated to bring oily or dry hair back into balance and Volume is formulated to give hair a boost! 5. Purified water is the first ingredient! I've learned that's a very good thing! 6. It's free of sulfates, parabens, phthalates, and GMO's. The shampoos and conditioners are formulated to clean hair gently and leave it replenished. 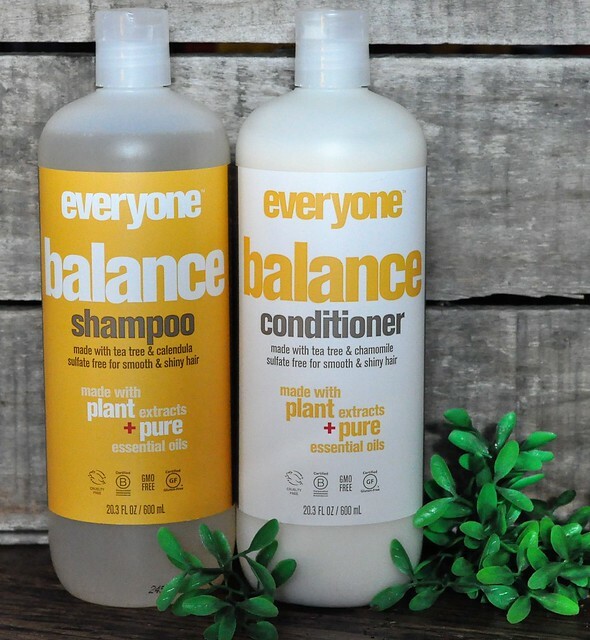 The Balance shampoo contains quinoa protein and coconut, and the Balance conditioner contains Quinoa protein and Abyssinian oil to leave hair looking smooth and shiny! 7. It's cruelty free. For my fellow animal lovers, that matters! 8. It's made with plant extracts and pure essential oils. It does NOT contain synthetic fragrances or polymers. 9. It's gluten-free! We recently found out Liam has Celiac Disease, and we had to eliminate everything that contains gluten. Did you know that gluten is found in everything, including some body care products?!? Finding gluten free products that actually work well is crucial to his health! 10. Enjoy aromatherapy while you shower! 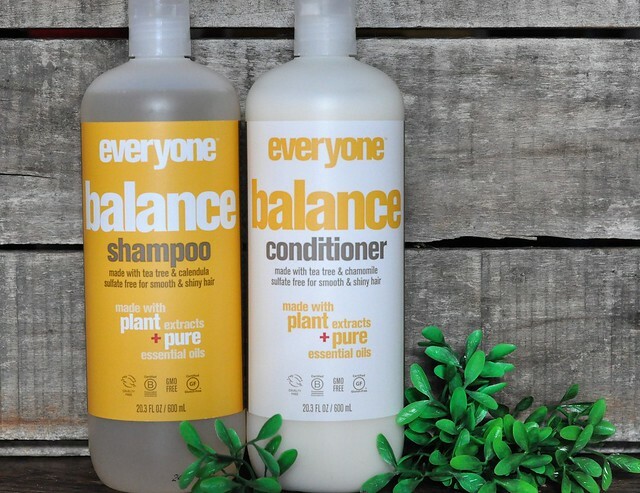 Both Balance and Volume shampoo and conditioner are infused with 100% pure essential oils. 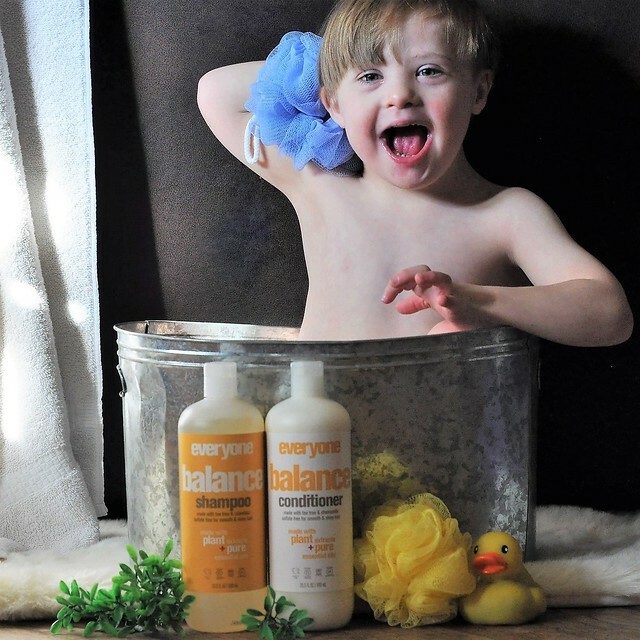 Balance shampoo is made with tea tree and chamomile, and Balance conditioner contains tea tree and calendula. It smells so refreshing and helps wake me up in the morning! Here's what Liam thinks of Everyone! Everyone truly is a haircare brand you can trust for your entire family. 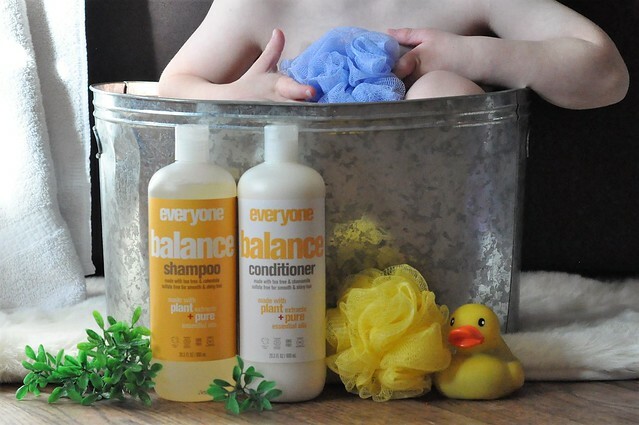 Why buy multiple shampoos and conditioners when one brand easily meets all your family's needs in a safer, healthier way? I trust it for my family...men and women, boys and girls, adults and kids, and even those with an extra chromosome! Switching to Everyone was a positive change for us, and we are loving the results! Visit HERE to learn more about Everyone, and stop by your local Walmart to purchase this brand for your family! We've been working on a healthier, greener home this year. 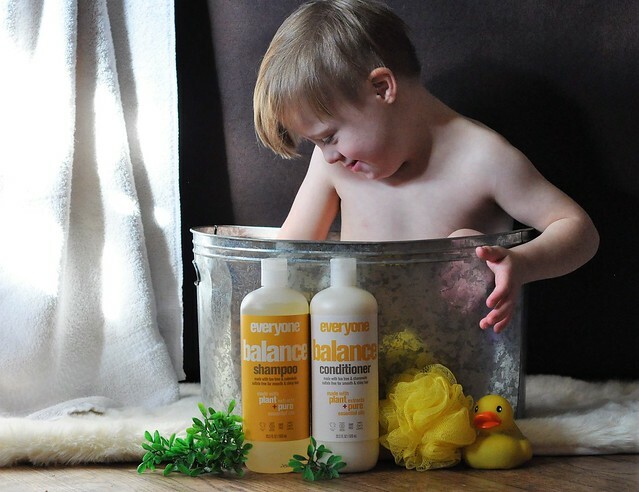 I've never heard of this brand but love that it's a clean product which is so important with little ones. Good luck! It wasn't as difficult as I expected! I seriously love all the Everyone products! Especially the lotion & the bubble bath. And the hand sanitizer. See... I love them all! I will have to check out the lotion and hand sanitizer!